Charity Navigator: We all eat. We need farmers. We all eat. We need farmers. Farmers’ hands sustain us. They grow the vegetables we turn into salads, the fruits that we snack on, and the grains that become our flour. They raise the animals whose milk we drink, cheese we eat, and the meat we prepare. We depend on farmers. But who can farmers depend on when volatile weather threatens their harvest and shifts in the agricultural economy jeopardize their livelihood? Last week, I had the opportunity to speak with Jennifer Fahy, Communications Director at Farm Aid. We spoke for almost an hour about the organization and the work they’re doing to support family farmers and strengthen their economy. Somewhere in the middle of our conversation, she said simply, “We all eat. We need farmers.” I scribbled the statement down in my notebook in all caps. Traced it and retraced it with my pen. Underlined it, and drew a large, dark box around it. Her statement resonated deeply within me because I’m the daughter and granddaughter of family farmers. I know it’s true. Founded in 1985, Farm Aid is a highly-rated organization committed to supporting America’s family farmers and helping them stay on their farms. My grandparents started our farm when they immigrated to the United States in the 1950s, and my dad took it over after he graduated college. I grew up on that small family-run farm in Northwestern New Jersey (yes, New Jersey actually has farms!). Although I chose a different path, farming will always be part of my identity. That’s me (on the right) age 9ish. That's me (on the right) at age 9ish. I grew up on that small family-run farm in Northwestern New Jersey (yes, New Jersey actually has farms!). In the 1980s, farmers across America were experiencing a succession of bad years: low yields and high expenses. The agricultural economy was struggling and families were losing their farms. Having your farm foreclosed is not like losing a job. For farmers, their farm is not only their source of income, it’s also their identity and their legacy. 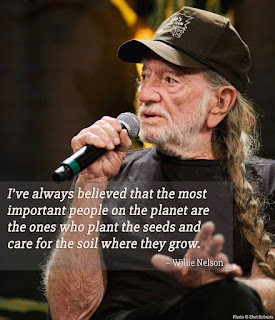 Legend has it that Willie Nelson was moved by a charge from Bob Dylan to the crowd at Live Aid, a benefit concert for Africa in 1985, that in addition to helping the people suffering from famine in Africa we should help America’s family farmers suffering through the farm crisis of the 1980s. Willie, a product of rural America, reached out to Neil Young and John Mellencamp about organizing a benefit concert to raise money for struggling family farmers and six weeks later Farm Aid was born in Champaign, Illinois. From the beginning, Farm Aid was more than just a benefit concert. It was a rally that brought awareness to the plight of family farmers and united people from all walks of life to take action on their behalf. The festival spurred the 1986 Farmer and Rancher Congress which led to the passage of the Agricultural Credit Act of 1987. This piece of farmer-friendly legislation put a moratorium on farm foreclosures, allowing farmers to stay on their land while they work through bankruptcy. 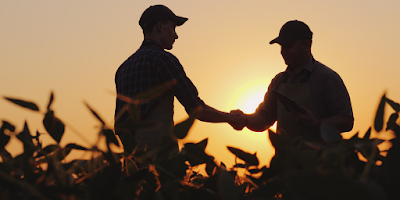 Farm Aid’s hotline and the Farmer Advocate Network continue to connect farmers with local resources to help them navigate the financial and legal processes to save their farms. The event’s organizers founded a nonprofit arm to manage funds raised from the festival, making grants to fledgling farm organizations across the country. The phone number Farm Aid set up to take in donations quickly became a farmer hotline, with farmers calling to get expert help to keep their farms. It became clear that the farm crisis of the 1980s would not be solved overnight, and the Farm Aid concert became an annual event, while staff worked year-round to support struggling farmers. Farm Aid’s hotline and the Farmer Advocate Network continue to connect farmers with local resources to help them navigate the financial and legal processes to save their farms. Throughout the year, the Farm Aid team continues to answer the hotline; build the Farmer Advocate Network; connect farmers with the resources they need to succeed; and, provide their partners with the funding, training, and materials they need to serve farmers in their communities. 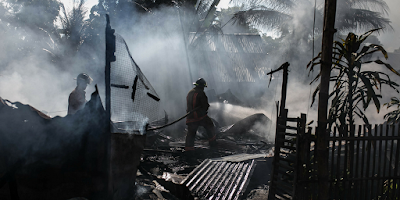 They also administer a disaster relief program to help farmers with immediate relief for household expenses and hold trainings to assist farmers with the arduous process of applying for disaster recovery programs to recoup their losses when their land or harvest is damaged by a natural disaster. While the Farm Aid team is hard at work all year long, the annual end-of-summer music festival is still their hallmark. The event is a celebration of farmers and their communities. It’s held in a different city each year and highlights the local farm economy through a farmers market, locally-sourced concessions, hands-on exhibits and activities about food and farming, and other events--like farm tours--for farmers and concertgoers. It’s an opportunity for music lovers, farm lovers, and everyone in between to come together to learn about one another while enjoying good food and good music. 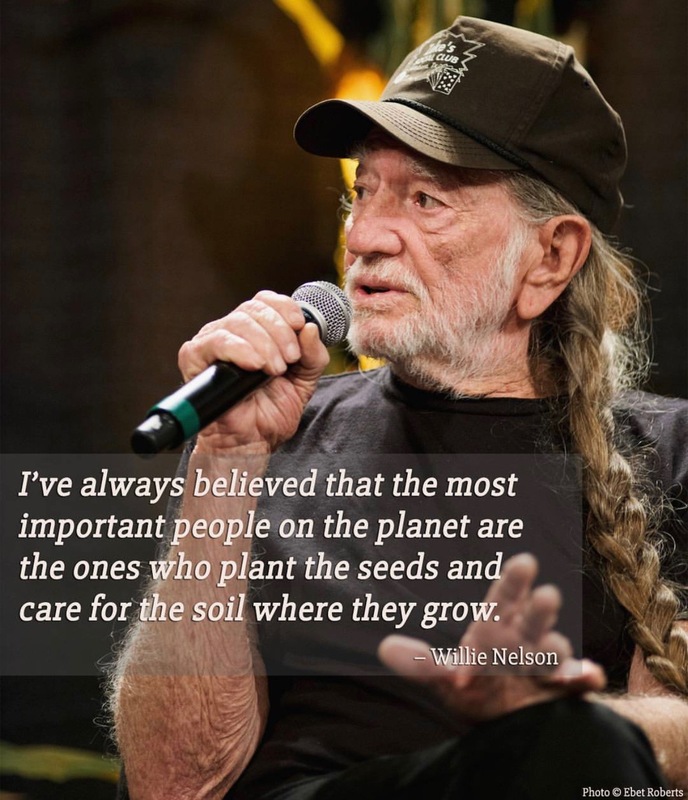 Although the artists hope for a day when there will no longer be a need for Farm Aid, they, and the rest of the team at Farm Aid are committed to this important cause and have no plans to stop playing music and raising funds to help America’s farmers. As the daughter and granddaughter of family farmers, I know what it’s like to call farming your livelihood. I’ve experienced both the joy of a good year and the sorrow of a bad one. It’s encouraging to know that there is an organization with a band of loyal supporters who are committed to seeing farmers through their bad years and dedicated to creating an environment that will foster many more good years. Farm Aid is a leader in the effort to support family farmers and create a stronger, more inclusive agricultural community. Keep reading to learn more about a few of organizations that are complementing their work, and finding unique ways to connect individuals with the people who grow their food in the United States and around the world. 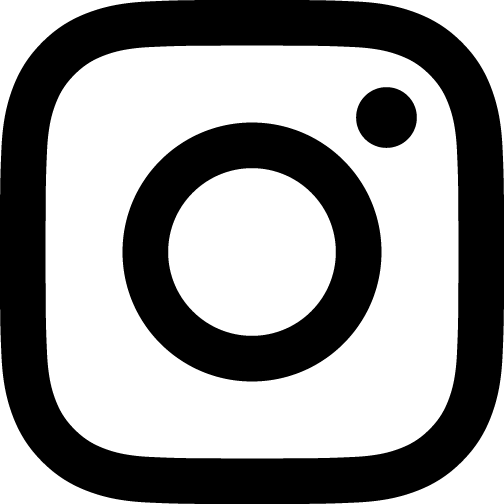 The Rural Advancement Foundation International (USA) cultivates markets, policies, and communities that support thriving, socially just and environmentally sound family farms. While their primary focus is on North Carolina and the southeastern United States, they also work nationally and internationally to support farmers. The Rural Advancement Foundation International (USA) is creating a movement among farm, environmental and consumer groups to ensure that: family farmers have the power to earn a fair and dependable income; everyone who labors in agriculture is respected, protected, and valued by society; air, water, and soil are preserved for future generations; the land yields healthy and abundant food and fiber that is accessible to all members of society; and that the full diversity of seeds and breeds, the building blocks of agriculture, are reinvigorated and publicly protected. Located in Massachusetts, The Farm School helps individuals learn to farm through a year-long program on a working farm. A small class of participants spends a year living and working together--experiencing all aspects of farm and agricultural life. The aim of this program is to inspire people to fall in love with farming, and to learn how to create a sustainable future in the field. In addition to their full-time adult program, The Farm School offers short-term education opportunities for adults and children. Over the last 15 years, this highly-rated charity has exposed many people to the joys of farming. The Institute for Agriculture and Trade Policy is committed to working, both locally and globally, at the intersection of policy and practice to ensure fair and sustainable food, farm, and trade systems. 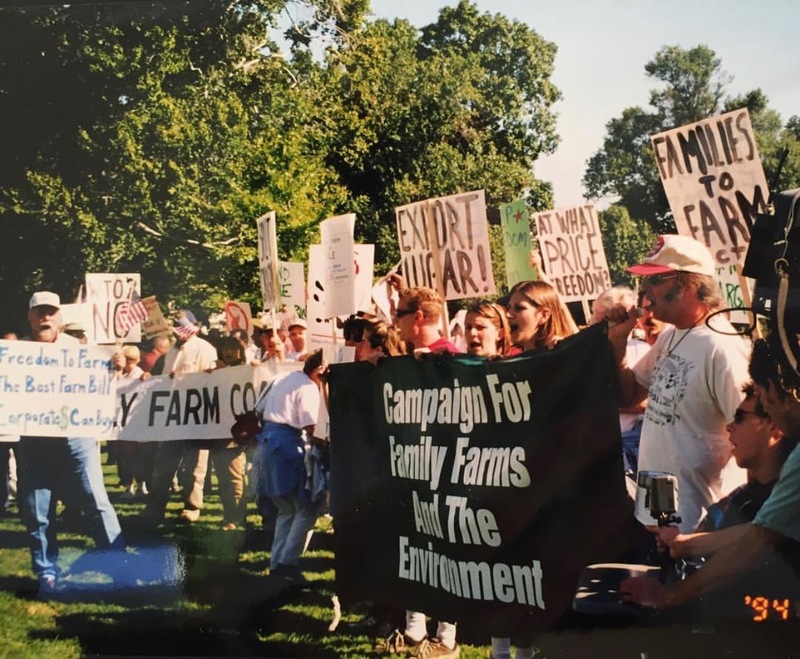 Founded in the mid-1980s, the Institute sought to address the broken policies that led to the United States’ family-farming crisis, which threatened many small farmers’ livelihoods. Today, the Institute has expanded its scope to advocate for fair farming policies domestically and internationally, as well as for economic, environmental and trade legislation that will have a lasting effect on farmers and markets. This highly-rated organization is committing to advancing practices and legislation that are environmentally responsible and socially just. The organization is currently working on issues related to agriculture, industrialized meat, trade, climate change, and rural development. One Acre Fund exists to serve farmers and seeks to always put their interests first. They “envision a future in which every farm family has the knowledge and means to achieve big harvests, support healthy families, and cultivate rich soil.” Its goal is to make more farmers more prosperous. The organization estimates that it will serve more than half a million farm families this year! One Acre Fund supports small farmers in the remote corners of Uganda, Rwanda, Burundi, Kenya, Tanzania, and Malawi. Farming is the primary economic activity for most of the world’s poor, and this 4-star charity seeks to make that activity more fruitful and productive. It aims to do this by financing farm inputs, distributing seed and fertilizer, providing training on agricultural techniques, and facilitating market placement to maximize profits from harvest sales. One Acre Fund is committed to measuring and sharing its impact to better serve its donors and farmers. And, you can always use Charity Navigator’s Advanced Search Tool and Discover feature to find even more highly-rated organizations working on this issue and countless others.